They say a problem shared is a problem halved. But when it comes to building a brand, sharing that problem with the wrong partner can have serious negative consequences. History is littered with stories of questionable brand collaborations, such as Accenture’s unfortunate match-up with Tiger Woods. But get it right, and the results can propel both brands forward with added momentum. 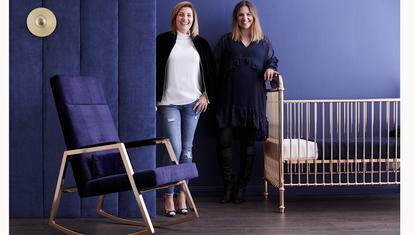 For Australian children’s furniture maker, Incy Interiors, partnership requests have become a regular occurrence. The company now operates in 10 markets, including the UK and the US, where it has secured space in prominent department stores, and has hit $9 million in annual revenue. For founder, Kristy Withers, a former marketing chief for eBay Australia, diligence is critical when deciding who she will extend her company’s brand to. And a recent partnership with rocking chair maker, Hobbe, has proven a perfect match. “It is never going to make us a fortune, but it is a beautiful product people are really loving,” she says. Withers met Hobbe founder, Samantha Hobbelen, some years earlier, and it was over dinner that they hit on the idea of Hobbe collaborating on a nursing chair specifically for Incy Interiors. “Images you see on Instagram have an Incy cot and a Hobbe rocking chair, so it kind of was a no brainer,” Withers says. After exchanging ideas online, Withers took Hobbleden to meet her manufacturer in Singapore, and after three rounds of sampling settled on the final design. The result is the Incy Interiors x Hobbe Nursing Chair. The partnership with Hobbe is the third time Withers has shared her brand with another company, and not all have worked, including one outing with contemporary Australian linen maker, Kip & Co.
Another collaboration with stylist, Megan Morton, for a four-poster bed fared more favourably, and sold well. These experiences have taught Withers a lot about what to look for in a potential partner. “We do get asked by lots of people to collaborate with them, and we say no more than we say yes,” Withers says. “That is based on brand fit for starters. Withers says it is essential to have a strong understanding of how the other brand operates, including its philosophies, ethics, and what they believe in. “That sounds fluffy, but there are going to be things that come up during the collaboration that you hadn’t thought of in the beginning, so you need to be able to work with that company to overcome that or to take advantage of it if it is a good thing,” she says. Withers got her start as a marketer at St George Bank, before spending five years in various marketing roles with eBay, including as manager of marketing and advertising. It was during a stint of maternity leave at eBay that she first came up with the idea for Incy. It was after she finished up at eBay that she had the chance to put her idea into action. “I had a job offer at General Pants,” Withers says. “I was on holidays and I was still talking about the idea for Incy and how there was a gap in the market.